其高精度的特性, 并自带温度检测(Temperature Detection) 和 自由落体检测功能(Free-Fall-Detection). Bosch 提供高精度的记步算法, 保证准确率高达95%以上. MRF24WB0MA is an agency certified IEEE 802.11 Wi-Fi radio transceiver module. 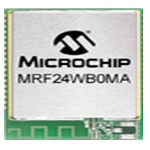 The MRF24WB0MA has an integrated PCB antenna, matching circuitry, and supports Wi-Fi with the free TCP/IP protocol stack. The MRF24WB0MA Module connects to hundreds of PIC® microcontrollers via a 4-wire SPI interface and is an ideal solution for low-power, low data-rate Wi-Fi sensor networks, home automation, building automation and consumer applications. 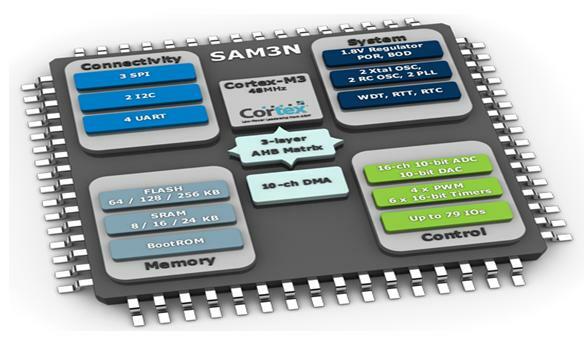 •ARM926EJS processor, running at CPU clock speeds up to 266 MHz. 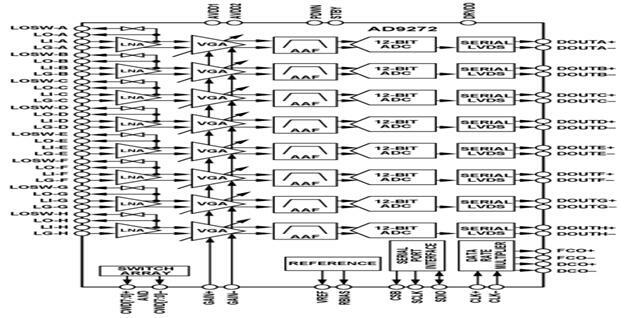 •Vector Floating Point (VFP) coprocessor. •32 kB instruction cache and 32 kB data cache. •Up to 256 kB of Internal SRAM (IRAM). controller. Programmable display resolution up to 1024 × 768. 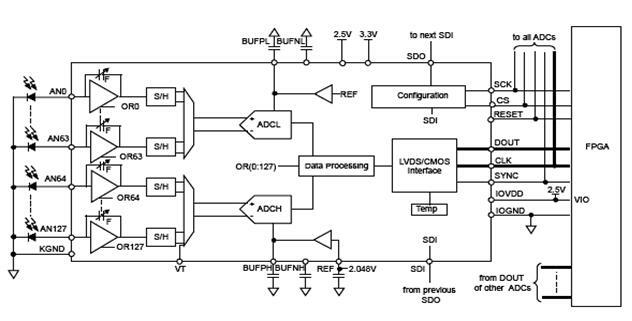 The LPC3220/30/40/50 embedded microcontrollers were designed for low power, high performance applications. 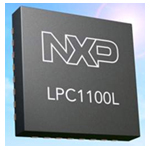 NXP achieved their performance goals using a 90 nanometer process to implement an ARM926EJ-S CPU core with a vector floating point co-processor and a large set of standard peripherals including USB On-The-Go. 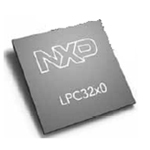 The LPC3220/30/40/50 operates at CPU frequencies of up to 266 MHz. The LPC1111/12/13/14 are a ARM Cortex-M0 based, low-cost 32-bit MCU family, designed for 8/16-bit microcontroller applications, offering performance, low power, simple instruction set and memory addressing together with reduced code size compared to existing 8/16-bit architectures. 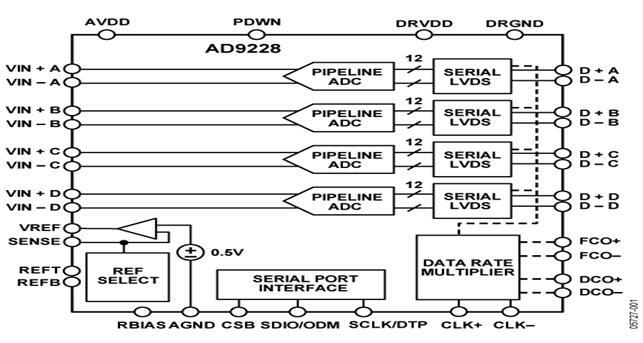 The LPC1111/12/13/14 operate at CPU frequencies of up to 50 MHz. 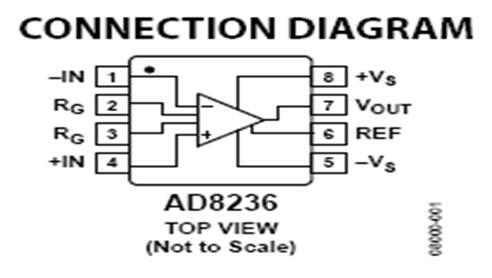 The TDF8599A is a dual Bridge-Tied Load (BTL) car audio amplifier comprising an NDMOST-NDMOST output stage based on SOI BCDMOS technology. 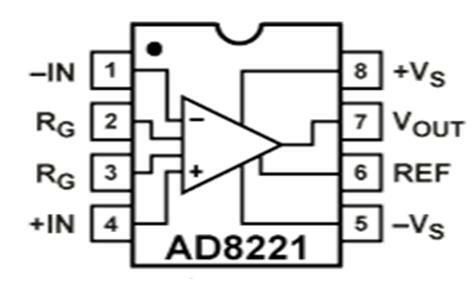 Low power dissipation enables the TDF8599A high-efficiency, class-D amplifier to be used with a smaller heat sink than those normally used with standard class-AB amplifiers. 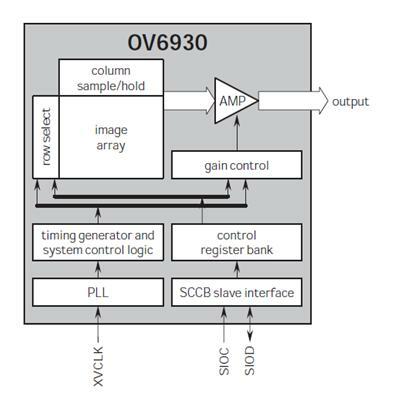 OV6930 offers an image array capable of operating up to 30 frames per second (fps) in 400 x 400 HVGA or 60 fps in 400 x 200 resolution, with simplified exposure control programmable through the SCCB interface. OmniVision's image sensors leverage proprietary technology to improve image quality by reducing or eliminating common lighting/electrical sources of image contamination, such as fixed pattern noise and smearing, to produce a clean, fully stable, color image. No other image sensor on the market offers high performance and sensitivity in such a small form factor. 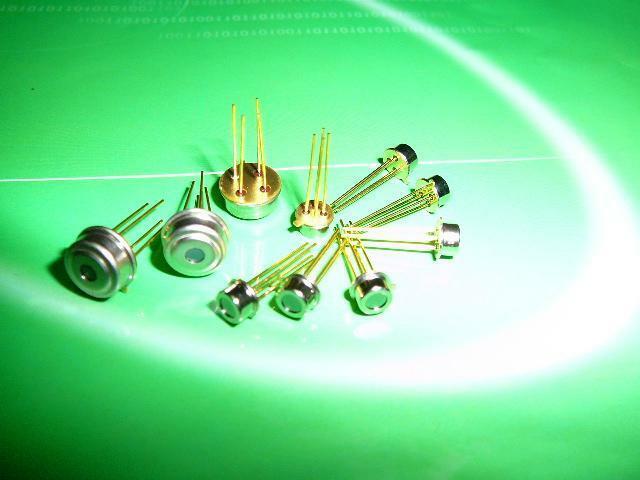 ‧ The PGA103’s high speed circuitry provides fast settling time, even at G=100 (8µs to 0.01%). ‧ Bandwidth is 250kHz at G=100, yet quiescent current is only 2.6mA. 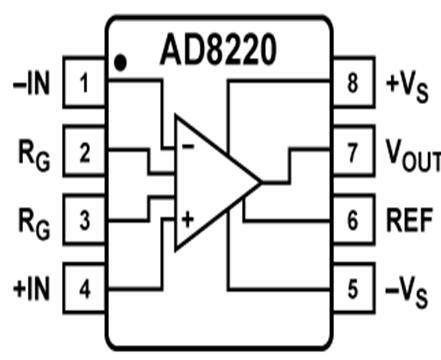 It operates from ±4.5V to ±18V power supplies. 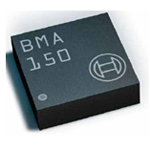 The PGA103 is a programmable-gain amplifier for general purpose applications. Gains of 1, 10, or 100 are digitally selected by two CMOS/TTL-compatible inputs. 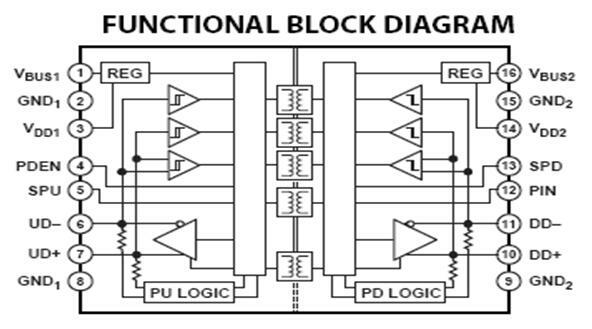 The TPS51610 is a fully Intel-compliant single-phase synchronous buck controller with integrated gate drivers designed for use in low-power CPUs and Intel integrated Graphics solutions for IMVP-6+ generation notebook systems. 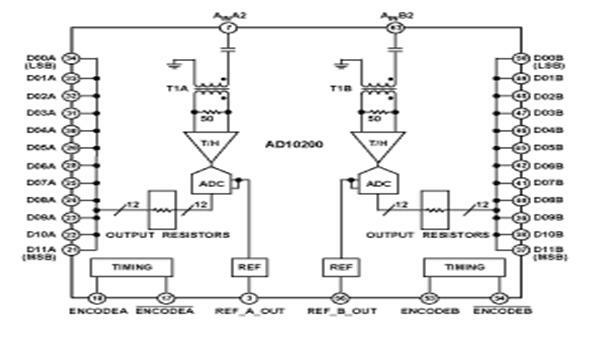 Advanced control features such as D-CAP architecture and OSR overshoot reduction provide fast transient response, lowest output capacitance and high efficiency. 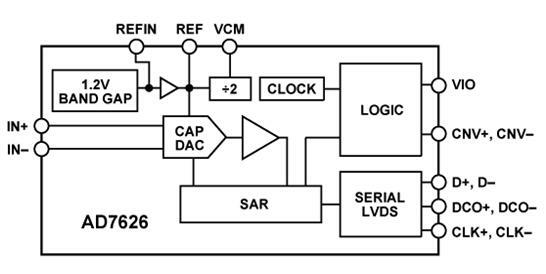 The TPS51610 DAC provides the 5-bit graphics "render" VID. The TPS51610 provides the full compliment of IMVP6+ I/O including VR_TT, and PMON. 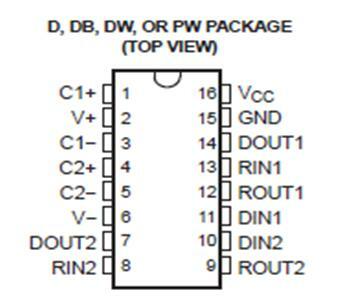 Adjustable control of VCORE slew rate and voltage positioning round out the IMVP6+ features. 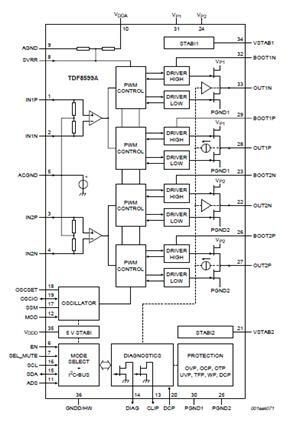 In addition, the TPS51610 includes two high-current FET gate drivers to drive external N-channel FETs with low switching loss. The TRS3232E device consists of two line drivers, two line receivers, and a dual charge-pump circuit with ±15-kV IEC ESD protection pin to pin (serial-port connection pins, including GND). 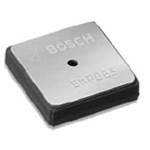 The device meets the requirements of TIA/EIA-232-F and provides the electrical interface between an asynchronous communication controller and the serial-port connector. The charge pump and four small external capacitors allow operation from a single 3-V to 5.5-V supply. 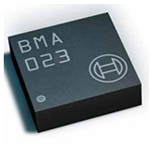 The devices operate at data signaling rates up to 250 kbit/s and a maximum of 30-V/µs driver output slew rate.